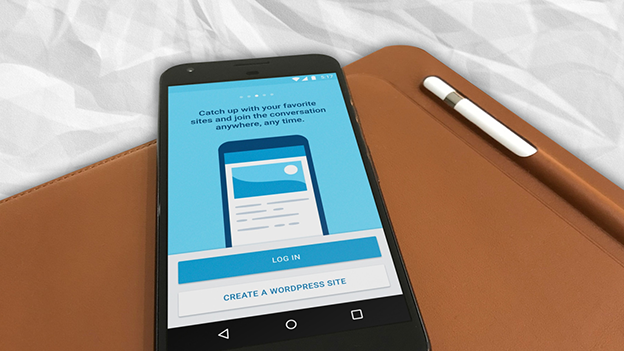 Using WordPress mobile apps is a convenient way to maintain your website. WordPress is by far the most robust and effective way to build a website. The user-friendly nature of this Content Management System is ironic. The easiness it provides to a user to build powerful business or personal website is undisputed till now and there is no possibility that it will change anytime sooner. 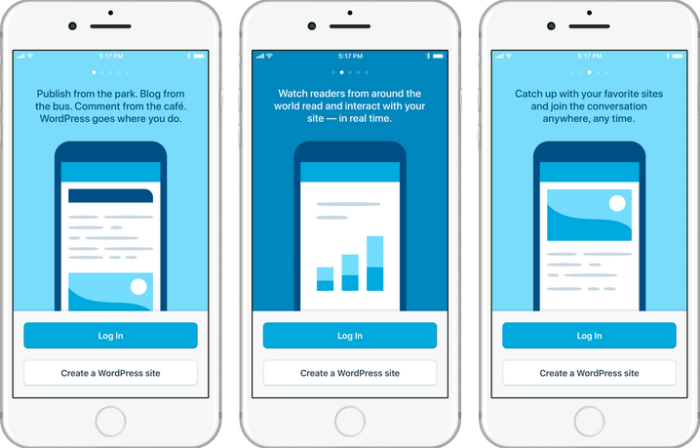 The WordPress mobile apps are sporting a new login experience that automatics mobile designers and developers released in the latest versions. They intend to change the design of the login page to unify the experience whether you connect it with a self-hosted site or WordPress.com-hosted site. These flows were completely separate in the past and users were often confused about which one to select. The new design provides fewer opportunities for friction when logging in, an experience that likely determines many users’ first impressions of the app. Give your business a boost with an SEO-friendly WordPress website! Click here to get a FREE quote! The WordPress has introduced many new features in this update. You see, the mechanisms for logging into a site at WordPress.com are different from those at other WordPress sites (self-hosted). In the past, the apps had two different login forms to handle the difference. But having two separate login forms means it will not be clear which form to use. If you’re using a wrong form, the apps will try and guess what are the intentions. This didn’t always work and consequently end in frustration. In the new login experience, they’ve done some separate login forms and clever guesswork in favor of a simple, step-by-step flow that works with any WordPress site. Users can now connect new sites by entering the URL and the mobile apps will automatically detect the site’s hosting services. The new login flow ferries users on to the next step depends on site connection. This is available in version 8.0 of WordPress for Android and version 8.2 of WordPress for iOS. The new login experience emphasizes the ease of using magic links for logging into WordPress.com. 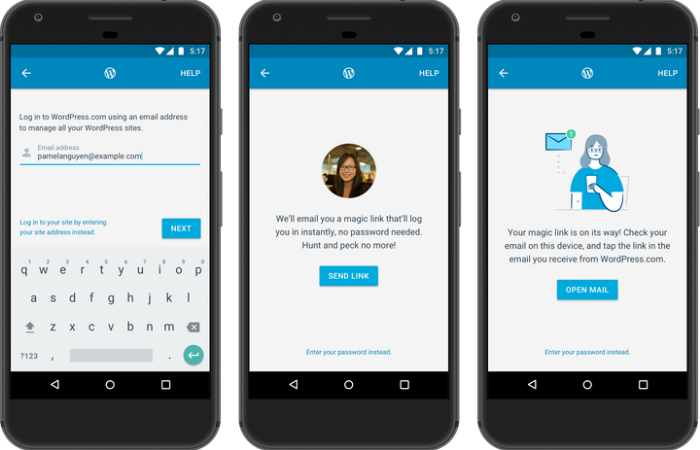 If the user enters an email address, the app will generate an authentication link and send it via email. This allows users to login without having to remember or enter a password. If a user is entering the world of WordPress for the first time through the mobile apps. Then the new login experience also offers a short tour of the some of the features included in the app. These include WordPress.com features such as notifications, Stats, and the Reader. The updated login experience, while more convenient for users, continues to blur the line between self-hosted and WordPress.com-hosted sites. The apps, despite being marketed as the official WordPress mobile apps, are the product of Automattic. It only include a commercial upgrade path for WordPress.com services. For a feature-rich WordPress website, hire custom WordPress developers for just $15/hr! One for WordPress.com’s commercial interests. One that officially represents the open-source WordPress project for self-hosted users without any corporate interests. If the project’s official mobile apps are a key part of new users’ experience, they must represent it as an independent platform. It can also be hosted with and extended by any number of free and commercial products in the WordPress ecosystem.